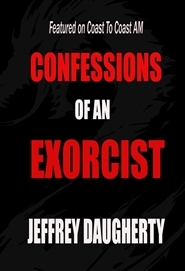 Jeffrey Daugherty shares stories and lessons of his over 30 years as an exorcist, and brings to light to revelations and questions of responsibilities of both exorcist and victims, as well as the very nature of demons and exorcism themselves. This is the very first edition of the New Testament scriptures presented in their original chronological order. This allows the reader to more fully understand the development of thought and doctrine in the early Church. 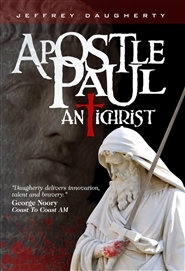 This edition also removes the writings of the self proclaimed apostle Paul, and restores the true name of the man from Nazareth, Yeshua. In addition the original proper names have been restored. 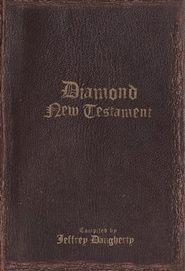 This edition is an attempt to remove what Thomas Jefferson called the "dung" of human opinion and distortion, leaving only the diamonds of pure divine revelation. John, the last apostle, unveils hidden truths and great deceptions. Featured on Coast To Coast AM. 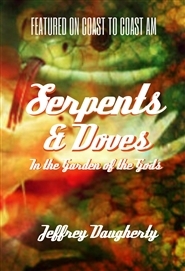 Jeffrey Daugherty, The Christian Whistleblower, shares explosive new research that the Book of Genesis speaks of Reptilian Gods, Reptilian hominids, and even Reptilian shapeshifters. 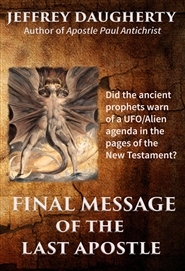 This book also explores the origin of the Bible God and looks at modern man as a Reptilian/Human hybrid.